Dean Boyd | How Is Liability Handled For Truck Accidents In New Mexico? Most multi-vehicle truck accidents cause catastrophic injuries for all involved. A high percentage of these wrecks are caused by human error. The leading causes of truck accidents include a failure to inspect if the trailer is secured correctly, mechanical errors, and exhausted drivers. All of these incidents fall under the category of negligence. An experienced personal injury attorney never assumes one side is solely responsible for a commercial truck accident. No determination can be given until a full investigation takes place to find the cause of the crash. In many cases, the trucking company will be held liable for causing the accident. The following can help you understand liability and negligence involved in commercial truck wrecks. 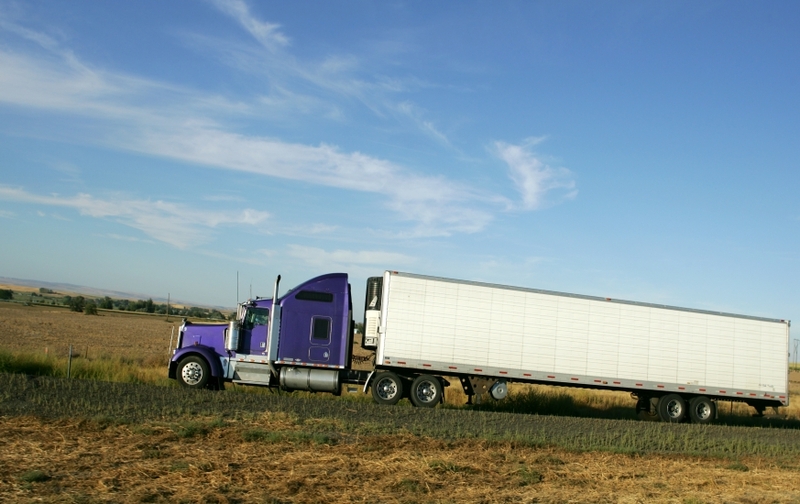 What are the responsibilities of a trucking company? In the state of New Mexico, local oil and mining companies are hiring truck drivers in record numbers. This has caused commercial truck accidents to be on the rise as well. The occurrence of these types of crashes are more frequent because of oil-slicked highways near work locations, as well as inexperienced and negligent drivers. Who is responsible for commercial truck accidents of this nature? Often, the truck driver is the first to be blamed for the collision. Their employer (a trucking company) may be under investigation as well. Each trucking company must review all candidate’s qualifications, driving history, and past employment, and conduct a thorough background check before hiring them to the position. This information is used to hire safe, reliable drivers, so if a trucking company fails to check into their employees, this could also be considered negligence. Once a truck driver has been hired, the company must train and follow the progression of the new employee during their probation period. Department supervisors should confirm that every truck has met state and federal regulations to ensure that mechanical errors will not cause accidents or interfere with business operations. Failing to complete these tasks will increase the likelihood of the trucking company being held liable in a commercial truck accident. Statistics provided by recent studies from the National Highway Traffic Safety Administration show that approximately 14 percent of all fatal multi-vehicle accidents involve a commercial truck. The state of New Mexico follows strict comparative negligence laws where liability must be decided in all multi-vehicle accident cases. The amount of compensation one party receives from the other has a direct correlation to the amount of fault placed upon them in a final judgement. This may lead to several parties claiming other drivers were at-fault in the accident. Commercial truck accidents of this nature are hard to investigate because so many people are involved, and the results can range from minor injuries to death. Liability in most multi-vehicle truck accidents will be dependent upon on how the crash took place. Each driver will have a different account at the time of the accident. Often, insurance investigators will reconstruct the event using a highly sophisticated computer program that will help to determine which vehicle is to blame for the crash. Nearly all multi-vehicle truck accidents are a direct result of negligence by a driver. Investigators will examine all of the evidence provided, including each witness statement, the police report, and photos from the scene of the accident. They may also look at the actual damage that occurred to each vehicle. All of this information should help to explain the chain of events leading up to the truck accident. Trucking companies are hiring many inexperienced drivers due to a shortage within the industry, which gets them immediate monetary gains. However, this hiring practice may lead to more dangerous truck accidents and potential lawsuits. Still, fighting a trucking company’s insurance agents and lawyers will often require you to hire a personal injury attorney. Finding an experienced and dedicated lawyer is your best option if you have been hurt in a truck accident. If you have been in a Truck Accident in New Mexico, Texas, or Oklahoma, contact Attorney Dean Boyd today. Even if you are not located in Texas, Dean Boyd and his team have the experience and knowledge to fight for your rights. We have won jury verdicts for our clients as high as 8.9 million dollars, obtained multi-million dollars settlements and received awards including the Texas Lawyer Top Verdicts and Settlements. Contact Us today for more information about how we can help with your claim. You can call us at (806) 242-3333 or Send Us an email to learn more about our Services. You can also visit our offices at 4423 SW 45th Ave Amarillo, Texas or 5012 50th St #103 in Lubbock, Texas.